The Ithaca College men’s tennis team had their comeback attempt spurned by St. Lawrence University and lost 5–4 to the Saints. Kellen Scanlan, a senior captain of the men’s swimming and diving team, talked about his personal growth and the team’s progress over his four years. The Ithaca College men’s basketball team defeated No. 13 University of Rochester 85–70 Dec. 11. The Yellowjackets were undefeated going into the game. The powerful offense has helped the men’s lacrosse team have an 8–2 record while averaging 15.70 goals a game. 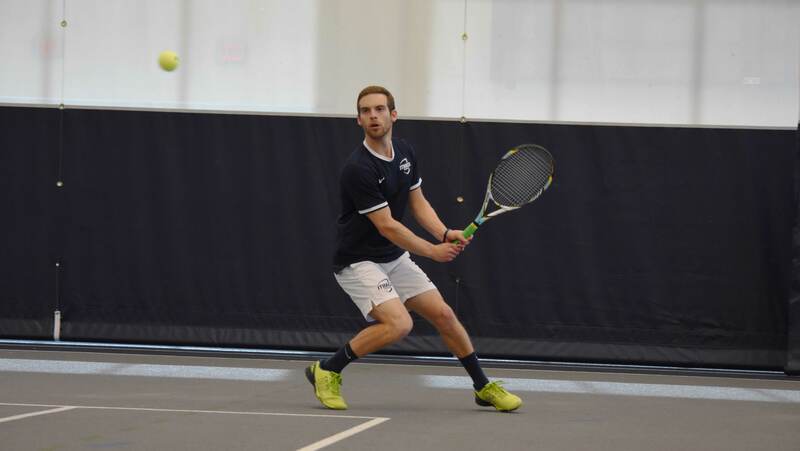 The men’s tennis team lost to Hobart College 7–2 March 23 in the Athletics and Events Center. The team won one doubles and one single match. Senior Brandy Smith is first outdoor track and field national champion in the college’s history and has won two national titles. The women’s tennis team lost 6–3 to William Smith College March 5. The Bombers lost all three of the doubles matches, but won three singles matches.